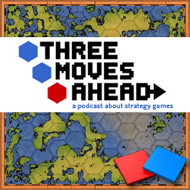 The second part of Trent Polack’s history of Real Time Strategy is up. In it he once again echoes some of my thinking on the real time tactical games that don’t have base building or resource management, classifying them as an evolution of the RTS, but along a different path. I think the break is less significant than he implies, but I would not put Sid Meier’s Gettysburg or Myth in this evolution since they are, to my mind, simply wargames with some RTS interface similarities. Both could have developed – and I think would have – completely independent of the Warcraft model. I doubt you could say the same of the Blitzkriegs of the world.